본 리포트는 캘커타랭크에서 발행하는 주간 리포트로 다음 기간(2017.01.30 - 2017.02.05) 동안의 글로벌 앱마켓 최신 동향 보고서입니다. 본 리포트는 캘커타랭크에서 발행하는 주간 리포트로 다음 기간(2017.01.23 - 2017.01.29) 동안의 글로벌 앱마켓 최신 동향 보고서입니다. 본 리포트는 캘커타랭크에서 발행하는 주간 리포트로 다음 기간(2017.01.16 - 2017.01.22) 동안의 글로벌 앱마켓 최신 동향 보고서입니다. 본 리포트는 캘커타랭크에서 발행하는 주간 리포트로 다음 기간(2017.01.09 - 2017.01.15) 동안의 글로벌 앱마켓 최신 동향 보고서입니다. 본 리포트는 캘커타랭크에서 발행하는 주간 리포트로 다음 기간(2017.01.02 - 2017.01.08) 동안의 글로벌 앱마켓 최신 동향 보고서입니다. 본 리포트는 캘커타랭크에서 발행하는 주간 리포트로 다음 기간(2016.12.26 - 2017.01.01) 동안의 글로벌 앱마켓 최신 동향 보고서입니다. 본 리포트는 캘커타랭크에서 발행하는 주간 리포트로 다음 기간(2016.12.19 - 2016.12.25) 동안의 글로벌 앱마켓 최신 동향 보고서입니다. 본 리포트는 캘커타랭크에서 발행하는 주간 리포트로 다음 기간(2016.12.12 - 2016.12.18) 동안의 글로벌 앱마켓 최신 동향 보고서입니다. 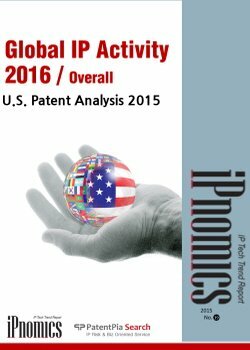 IPnomics report ‘Global IP Activity 2016’ analyzed IP activities in the United States in 2015. 2015 witnessed a high level of patent grant, transaction, and litigation activities in the United States. Areas with the most IP activity included the electrical engineering and information communication industries. Approximately 300,000 patents were granted in 2015. 40% of the patents granted in 2015 were related to electrical engineering and information communications. Over 167,000 U.S. patents were transacted. 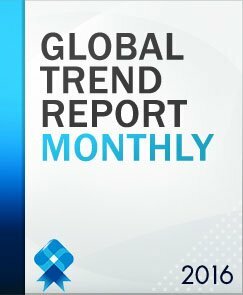 The most active sectors included, computer technologies, digital communications, and medical devices. There were 5,093 new patent litigation cases. Approximately 40% of the patent litigation cases were related to information communications Focus on IP activity related to electronics and information communications. Approximately 50% of all IP activities were related to electrical engineering and information communications patent, filings, transactions, and litigation cases. “등록 특허 29만9385건. 특허 거래 16만6997건. 특허 소송 5093건.” 세계 특허의 글로벌 스탠다드인 미국이 지난해 받아든 특허 성적표다. 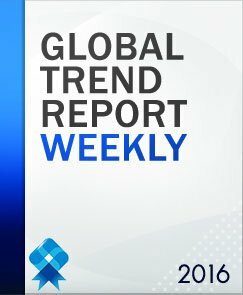 지난 2015년은 중국 특허청의 등록 특허 수가 처음으로 미국 특허 등록을 추월한 해지만, 특허 매입과 소송에선 여전히 미국이 압도적 우위를 보였다. 미국 특허를 보면 글로벌 특허 흐름이 보인다는 이유다. IP노믹스 보고서 ‘글로벌 IP Activity: 2015 미국 특허 분석’ 는 2015년 미국 특허 등록과 거래, 소송 데이터 분석을 통해 특허권 확보 동향부터 분쟁까지 특허 생애주기 전체를 훑어봤다. 특히 미국 특허 활동을 세계지적재산권기구(WIPO) 선정 6대 산업·35대 세부 분야로 나누어 체계적 분석을 시도했다. 또 특허 권리자 국적을 추출해 한국과 미국, 일본, 중국 등 주요국 동향 분석에 입체감을 더했다.